Who are you? Where are you from? Tell us about yourself. 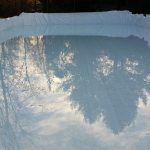 Built my first rink this year, after numerous evenings digging in the dirt with friends we finally had the rink ready for first match 28th of December. Since then we have roughly had 2-3 matches everyone. The warm spell in Oslo this week finally gave me some time to introduce myself here and thank you all for the insight you have given me in the planning phase and throughout the season! I can't find the right page for updating my profile with dimensions , location etc. I find the profile menu. You can try this link http://www.backyard-hockey.com/forums/ucp.php?i=ucp_profile&mode=profile_info and see if it works to access your profile. Looking forward to seeing some pictures of your Norwegian rink. Please visit your "User Control Panel" and update your location, rink dimensions, and materials used. It helps us when giving advice.